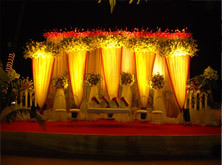 Western wedding reception parties also have a taste and style of their own in comparison to Indian weddings. 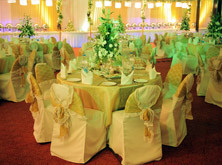 A special top table with a floral backdrop will be laid out for the bridal couple and their entourage. A bridal stage and backdrop could also be. 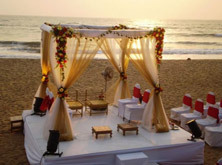 . .
Goa has long been known as the best perfect wedding on the beach destination not only in India but the world over. Goa is blessed with a golden coastline of picturesque beaches. It is truly a heavenly experience to have the sea breeze blowing in your face and the sand . . . . 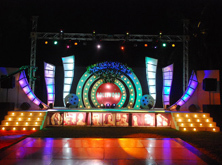 Weddings in Goa can have various kinds of themes, that are unique and elegant and add a very different excitement to the wedding. We have a range of wedding themes like ‘Mardi Gras’ theme, the Hawaiian beach theme and even the ‘Pirates of the Arabian’ cruise theme. . . .